Huge discounts on our range of snowboots from Antis! 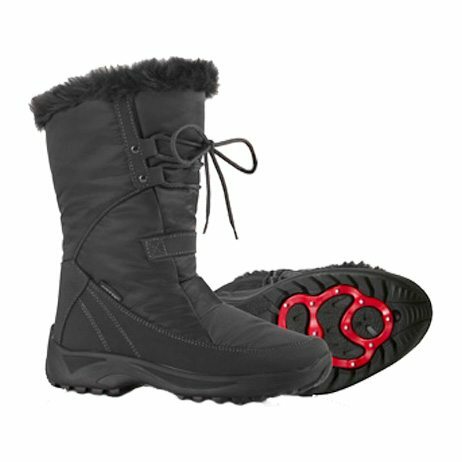 Save over 36% on snowboots with Grips! Take a look at our recently discounted range of snow boots from Italy by Antis. Incorporating the super grippy OC Rotor system, don’t put a foot wrong with the 4408 for men and theD857 for women. Now save over 40% on them plus free shipping! For those with cold feet, we are stocking the men’s 4319 wool lined snow boot which is now 36% cheaper too plus free shipping! For the kids, there’s also the Fun boot which was €29.99 but is now selling for just €15.00 in a range of sizes with pink & blue, the available colours!